The Fifty Shades of Grey actress Dakota Johnson is a part of a new celebrity couple! A source confirmed to UsMagazine.com that Johnson and Chirs Martin are “definitely dating.” The couple has been spotted on two public dates in just as many months. 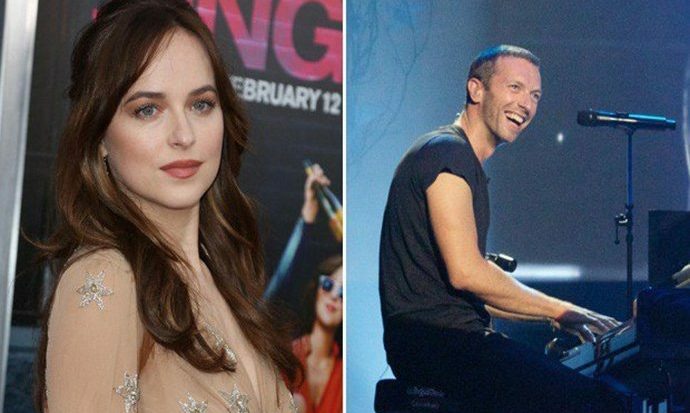 Cold Play singer Martin asks Johnson for her opinion on his music and Johnson asks her celebrity boyfriend his opinion on her upcoming projects. The couple just recently came back from a trip to Israel together. This celebrity couple just came back from a romantic getaway together. When is it too soon in a relationship to plan your own? 1. Do you know how to spoil them: A romantic getaway is all about appreciating your partner, celebrating your relationship together, and expressing your love. How does your partner like to be appreciated? If you don’t know this yet it may be too soon to get away. That’s the whole point of these mini vacations! 2. Relaxers or adventurers: You imagine drinking mojitos on the beach but your S.O. is that person parasailing. Spending time apart is healthy for relationships, but if you’re looking for a weekend of 24/7 time with your partner, make sure you both have the same goals for the vacation. 3. Common Intentions: Ultimately, no time is too soon for a romantic getaway if you both agree you’re ready. While they can be silly, exciting, or serious, what you both bring out of it is up to the two of you. Make sure your intentions for your relationship are clear, along with what you would like to see out of your getaway. Have you gone on a weekend trip with a partner before you were ready? Is there such thing as too soon? Share your own love advice below!